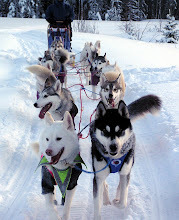 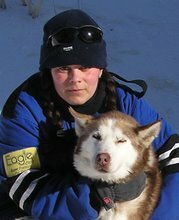 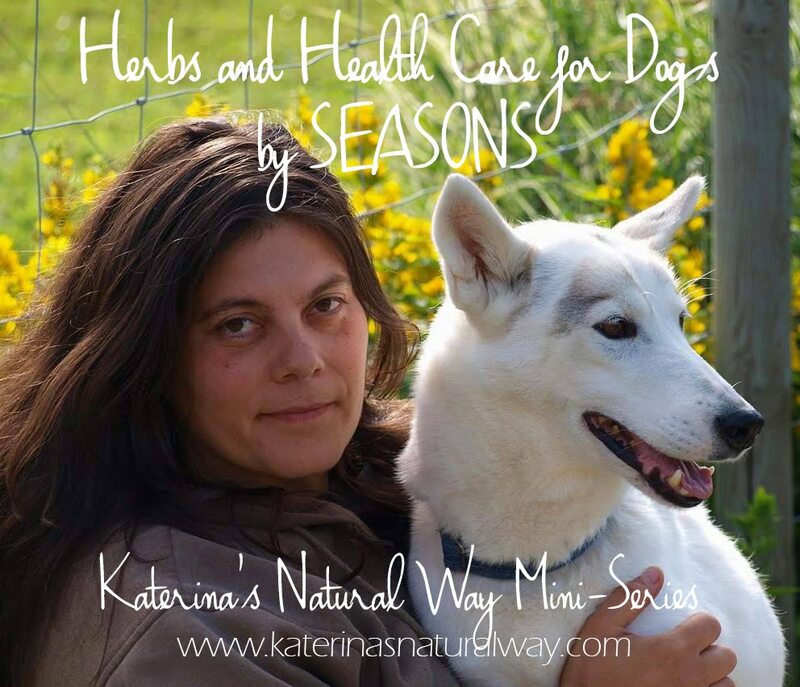 I have another exciting upcoming event news to share: On May 7, 2013 at 5:00pm I will be holding a lecture on the effects and influence of nutrition on our animals´ health, condition, performance and longevity. 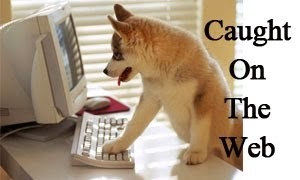 There will be room for discussion and Q&A. 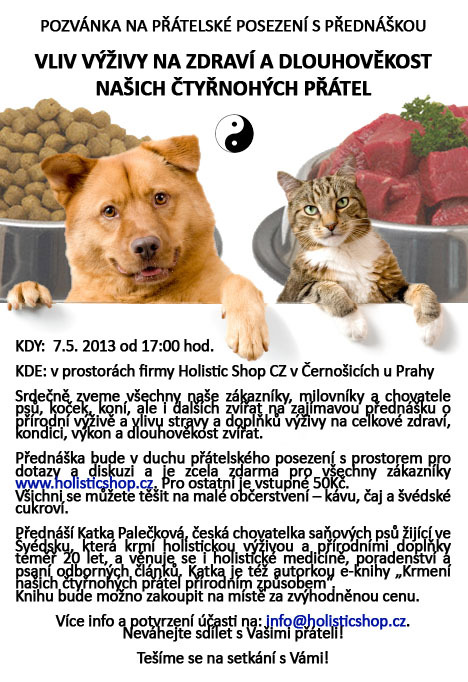 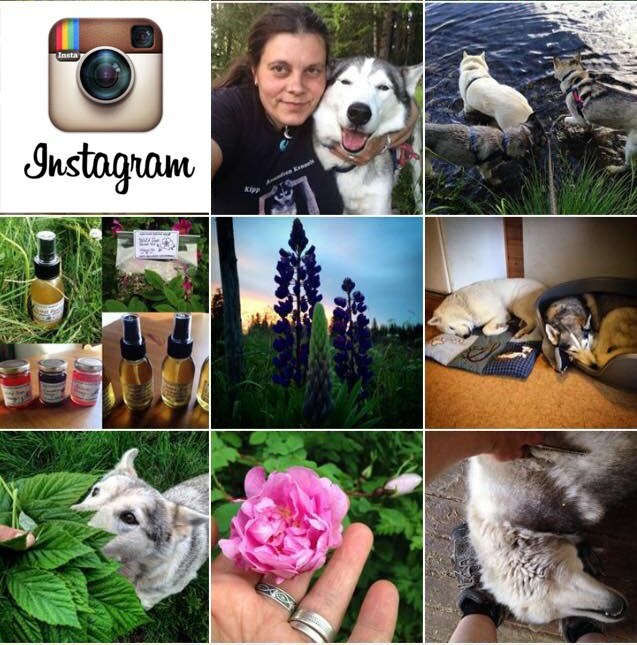 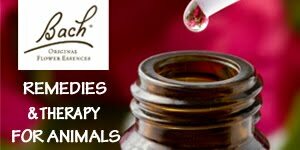 This lecture is hosted by HOLISTIC SHOP CZ, internet shop with healthy nutrition and health care products for animals and their humans, in Cernosice, Czech Republic. 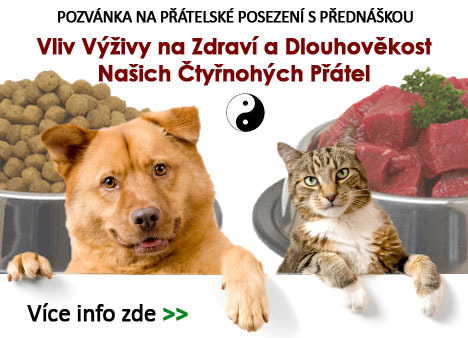 Entry fee: 50:-CZK. All customers of www.holisticshop.cz get a FREE entry. 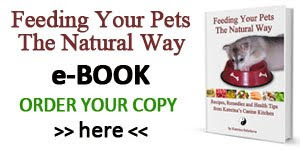 CDs with my e-book Feeding Your Pets The Natural Way will be available to purchase for a special introductory price (Czech Version: 75:-CZK, English Version: $7.99USD). 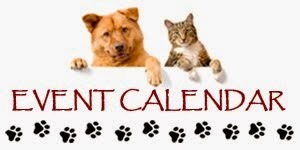 Please share the invitation with your animal loving, owning or breeding friends.